Christmas Tree Farm Tees Just $13.99! Down From $28! You are here: Home / Instagram / Christmas Tree Farm Tees Just $13.99! Down From $28! Looking for a Christmas present for your loved one? For a limited time, Jane has these Christmas Tree Farm Tees on sale for just $13.99 down from $27.99! Shipping is $3.99 for the first item and $1.99 for each additional item! Nothing smells better than a freshly cut tree! Throw mistletoe into the mix and it’s perfection! 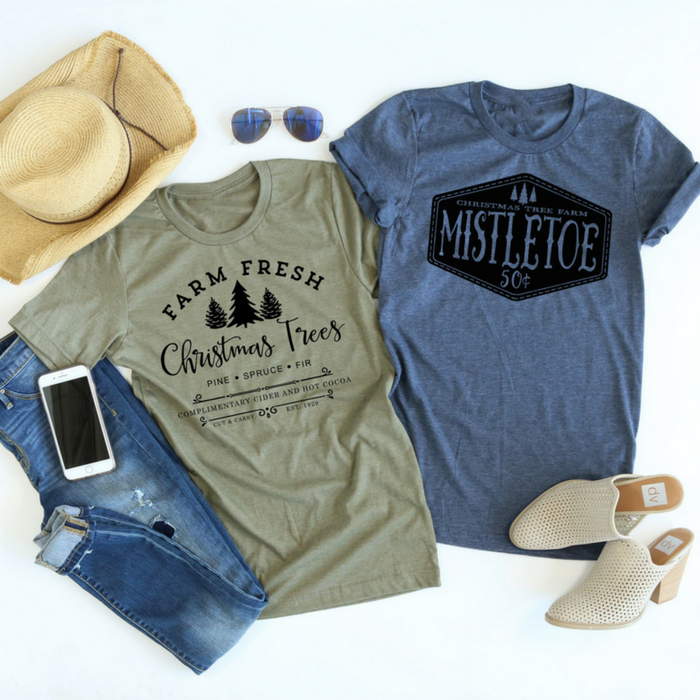 Grab one of these Tree Farm Tees as the perfect tee for the season! Pair it with a cute flannel and skinnies for the perfect holiday outfit! With unisex sizing, this makes the perfect gift!